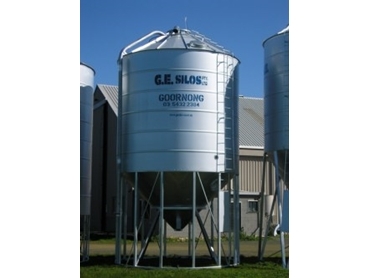 The elevated silos from GE Silos are custom built by the experienced team to suit customer requirements and a wide variety of purposes. Most elevated silos are typically used for applications such as containing dairy, grain storage, feed lots, and for storage of mixed, crush and various grains. They are available in sizes ranging from 30m3 (30 Tonne) to 69.8m3 (53 Tonne).